In spite of the cold, we bundled up the best we could and headed to Tampa’s Raymond James Stadium. We opted not to attend the Pit Party prior to the show due to the cold, but I can say that it is always a good time and I am a little disappointed that we missed it. It is a unique opportunity to see the trucks and sometimes meet the drivers. Maybe next time we’ll be able to go to it. There were three competitions in this years show. The race, the 2 wheel tricks, and Freestyle. Each has it’s own type of excitement. The race is cool for me, as I am totally amazed these trucks can move as fast as they can. My phone did not take very good pictures as I was shivering just a bit. But I tried. 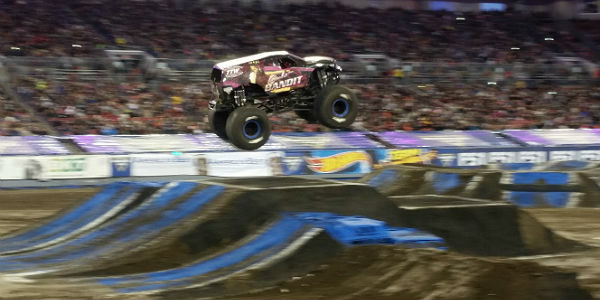 This year there are three trucks that are driven by women. I am absolutely thrilled with this! 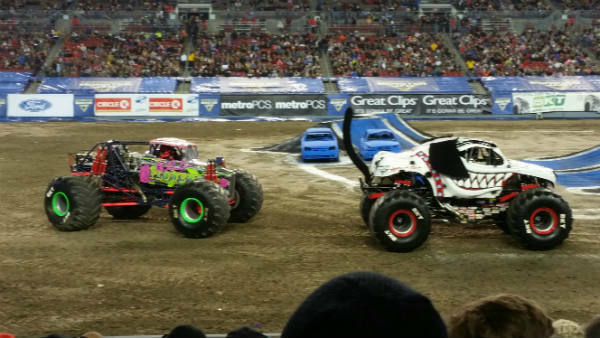 Monster Mutt Dalmation driven by Candice Jolly, Scarlet Bandit driven by Dawn Creten, and Wild Flower driven by Rosalee Ramer. During the race portion, Wild Flower and Time Flys, driven by Kelvin Ramer, raced against each other. They are father and daughter, and she won! Wild Flower is a cool truck as it appears the 4 wheels can be steered independently. It looked that way to me, but I don’t know for sure. The Black Pearl truck, driven by Jimmy Creten, is a brand new truck this year. 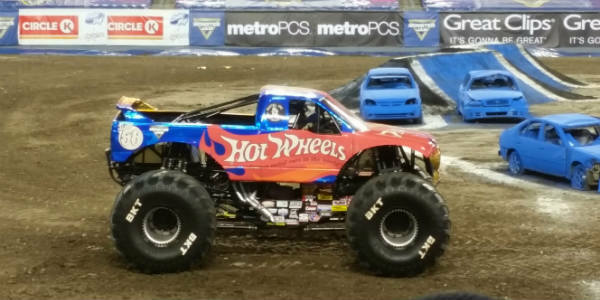 Max-D has returned, as well as Team Hot Wheels, Bounty Hunter, Grave Digger, Pirate’s Curse, and El Toro Loco, as well as those I have previously mentioned. Sometimes tricks did not work out as planned. 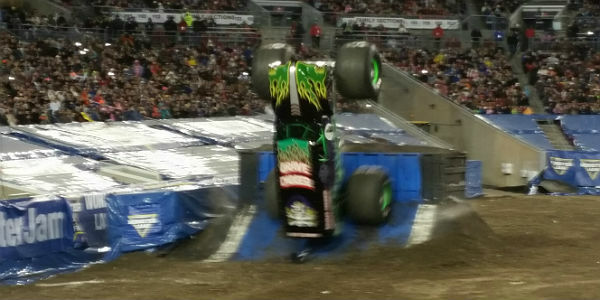 Trucks may tumble and end up wheels up, or just get stuck. Then the very large tractors have to come out and try to right the vehicle. 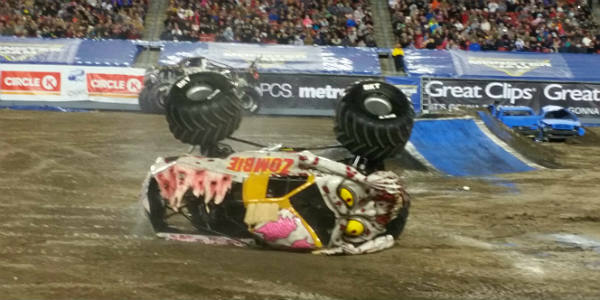 There was a winner for each section, however, the over all winner for the night was El Toro Loco. 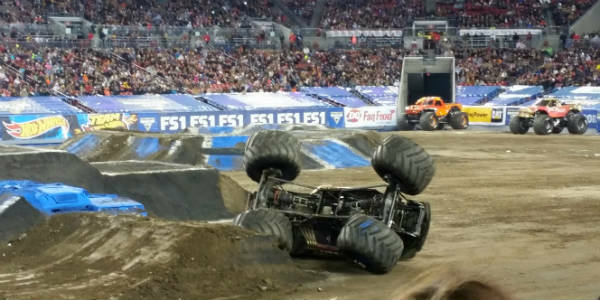 My family had fun watching Monster Jam! I do recommend that ear protection be worn for everyone as it is very loud. Pay attention to the venue rules for bags, camera, and blankets, too, as it is a pain to have to take things back to the car. 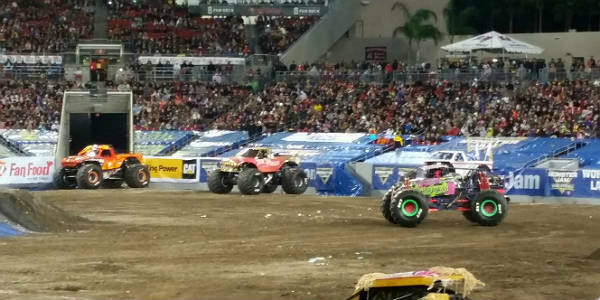 I am looking forward to the next Monster Jam show in Orlando on January 20th at Camping World Stadium. The Pit Party opens at 2:30 and runs to 5:30 PM. Gates to the Stadium open at 5PM. This is a fun family time. Tickets and Pit Party Passes are available at the Amway Center Box office in advance, online at ticketmaster.com, or charge by phone at 800-745-3000. Subject to facility fee, plus convenience and handling charges. All seats reserved. Same day event ticket and pit pass required for entry to pit party. Camping World Stadium is located at 1610 W. Church Street, Orlando, FL 32805. Disclaimer: CSO was given media tickets to attend in exchange for this recap and social media posts. As always, this review is honest, and my own.